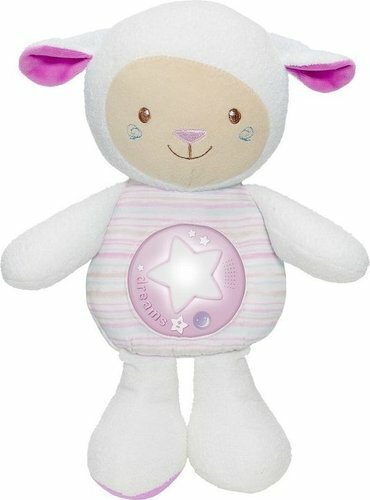 Suitable right from birth, can be machine washed, Night light, automatic change of colour, Voice recorder records voices, Sensor automatically activates sound, 30 minutes Classical Music, Jazz and New Age Music, Please note: The lullaby sheep runs on 2 x AA 1,5 V batteries, which are not included in delivery. Cot companion to comfort child at night time. Provides 30 minutes of soft classical music. Soft, diffused tummy of light acts as a night light. Has voice recording mechanism for mom or dad to leave a message or sing a lullaby. Machine washable upon removal of battery mechanism.